Print is one of those things that really has the ability to show people our creative side! Our style does that in a way on its own already, but when we play with print, it really brings out the character in the outfit. When it comes to stripes, there are all kinds of unwritten rules about it and how to actually wear stripes, but there are a few things I keep in mind. When it comes to an entire outfit in stripes…I only like to sport that if the stripes are slender and not overwhelming – otherwise I feel it can come off a bit ‘clownish’. If the stripes are quite prominent, I would ideally select one piece as the feature – as an example – either the blazer or the pants – or a top? The direction of the stripes also has an impact – I find that the Horizontal strips are not necessarily flattering unless they are in the bust area, at the waist or at the very bottom of the dress or outfit – if they continue throughout the outfit, they can have a tendency to make you look heavier than you are – especially if they are stretched around your thighs or arms. When it comes to Vertical stripes – I tend to prefer this direction as they can elongate your body and make you look a bit more slender. When it comes to Pattern – I think mostly about a checkered – criss cross type of look. This is not a style that I tend to like in most cases – it can look a bit more casual at times, but I have sported outfits with that look in the past – so there you go! You’ll see looks like that at stores like Roots, but this style can also be seen on some dressy outfits – i.e. suits (in a more subtle way). 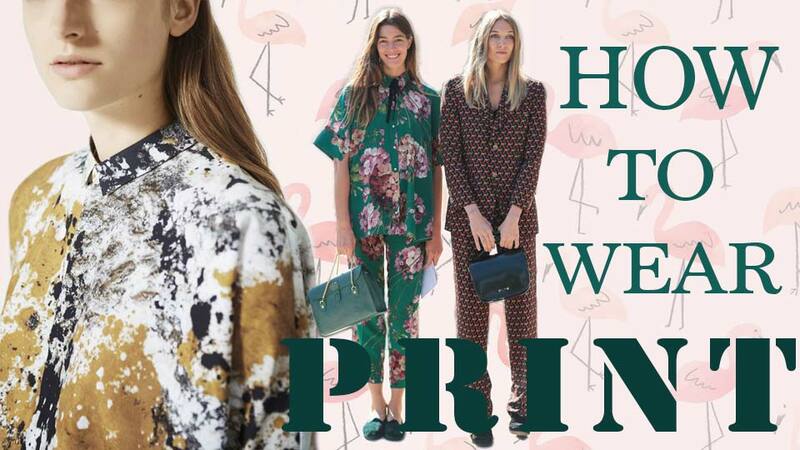 When it comes to print – this is one of my favourite things to play around with – I really feel like a lot can be communicated with fun prints! I am seeing a lot of dinosaur print coming out – cute things like watermelon, bananas, pineapples are always really nice to see on outfits as well – works on sweaters, dresses, and other tops! I also like to keep a general rule of trying to keep one element of the outfit as the focus – with bold print being featured!